This is the #1st set of How To Start A PHP user group in an attempt to help PHP guys all around the world to spring out a local PHP user group if they do not have one nearby. So before you embark on this journey, you need to know what you have to expect, how to prepare yourself, the pitfalls, the to-do lists, the workload behind, the commitment behind and above all the gratification this can bring to your PHP life. 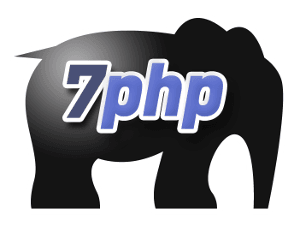 In these respects, 7PHP invites YOU, elePHPants, to come flock together to learn, share and make our PHP User Groups better and to promote PHP to the best of our abilities and passion! Let’s do this! PS: Are YOU the founder or organiser of a php user group? Do you want to share your experience and knowledge about User Groups with us? Get in touch with me for a similar interview, make a comment below with your email and I’ll get back to you! This 7PHP “How-To PHP usergroup” Series also has a group on FB and G+, do join us there! Our user group is aimed at PHP Development. >> What is the aim of a user group? In my opinion a User Group is a place where people who share a similar interest can get together to share knowledge. One thing I took into account was, is there a need and is there something similar that already exists? I had seen many businesses in the area that had adopted PHP and was willing to set up a group to target developers in the area. Making enough interest is one of them. Finding people who would attend regularly to make the user group worthwhile. Sourcing speakers or content is another. You need to keep people interested in your user group. Deciding early on what you expect from the user group is also a challenge. We started with a Twitter account. I followed a few people in the area and gradually had a base of about 30 people. We then organized a small ‘LeedsPHP Intro‘. This was were people who would potentially attend have their thoughts and ideas raised. From there, we had a rough idea of what people wanted from the group. We then set up a website and had our first talk a month later. I think keeping it all simple is quite important. You don’t want to rush into something. Having regular contact with your attendees is a good approach. Either by a news feed, Google Groups, Twitter or a mailing list. Find a venue that can adequately fit your needs, whether be an office, pub etc. People need somewhere they can sit down listen and discuss. As we have no hierarchy in terms of founder, organizer..etc, there are a lot expectations, such as having a talk, a venue and making sure that everything goes well. Keeping everything ship-shape is key. promoting the event as much as possible is also key. For us, making money wasn’t our main focus. So I think staying away from making money is important. That’s not and will never be our focus. Also try to avoid sponsors that are mainly focused on their own business/service. Another one is try not to change the format of the group too often. This can lead to confusion. Make sure sure that you have some sort of schedule. Keeping the website, twitter etc regularly updated. There’s nothing worse than your members not knowing what’s going on. Have an actual meet-up is also important. You don’t want the group to go stale by not having your attendees a reason to be active in the group. >> How do you plan meet-ups? >> How to encourage members to participate and attend meet-ups? This is quite hard to do. Within the group, we have about 20 who come down each month. From that, we also have 4-5 who regularly contribute with talks. So we are quite lucky in that aspect. We try to keep people interested by the content of the talks and more recently, with offers such as software licenses and books. We’ve also had members contribute in terms of website and hosting. Again, this is quite difficult. As we’ve had several members help out with talks, finding people from outside can be a challenge. We’re quite close in terms of location to other user groups, so at times we’ve asked if anyone would be willing to help us out and vice-versa. As our main aim is promote PHP as a whole, we don’t turn down speakers. We’ve had some speakers who have never done so before and it is both beneficial to them to gain experience and also the community as a whole for them to share their knowledge and experience. We try to look at things that are relatively popular, such as Web Services, TTD or things that we feel could be used within PHP Development, such as Mobile Applications. We initially had no sponsors, for quite some time. We had been approached by some, but felt that they weren’t right in what they offered us. For us, the financial aspect wasn’t that important. We wanted to find a sponsor that was actively interested in the group and not themselves looking to promote their own services. Every group is different and every group may have different reasons for sponsorship. you have to find a balance that doesn’t affect the user group as a whole in a negative way. >> A mistake that you made and would like to share with us? One mistake, has probably been handling a lot of the responsibility single-handedly. For a long time, everything was managed by myself, which was quite time consuming. Handling some of that to others has helped quite a lot. >> Any other aspects that I missed and you think is important to be aware of? >> A final word before closing.. User groups are a great way of meeting new people. They are a fantastic way of giving back to a community that you love. It’s like a child, you watch it grow and are proud of it’s achievements. I’m proud to be in a position where I can help others. Very useful and inspiring article. I’ll spread that information and use it well for one of my groups in Slovenia as well. Thanks for sharing this info. Thanks for the comment and kind words Peter! Here is my first year with my Symfony community: http://www.tomasvotruba.cz/blog/2016/03/03/kolik-lidi-je-potreba-k-vytvoreni-jedne-komunity (just translate from Czech to English). I share many of your thought and first-time experiences.